It’s springtime, and you may be too occupied with your summer vacation planning or planting tatsoi to pay attention to organic policy, especially when it comes to Animal Welfare. Springtime foibles may have your attention today, but it’s worth paying heed to what’s happening in DC. Even if you don’t give a cluck about chicken or livestock, what’s occurring now in Washington may set a dangerous precedent for all in the organic sector. When consumers purchase organic, they see the USDA label and hold firm to a certain belief that the product has been produced in a certain way. Free of pesticides, herbicides, antibiotics and when it comes to animals, raised in a humane manner. 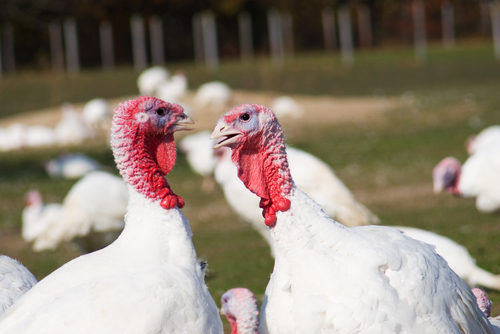 After nearly 14 years of public debate and rigorous NOSB analysis, a comprehensive set of Organic Animal Welfare Standards was released last January. Special interests in Washington now seek to obstruct the implementation of the final rule, essentially blocking the industry’s ability to control its own standards. If this rule is blocked, the very relevance of the organic seal is at stake. This potential watershed decision for the organic industry has a long and transparent history. In 2000 the NOSB made recommendations that established the organic regulations which continue to evolve and develop based on public comment and NOSB deliberation, a process laid down by the Organic Food Production Act (OFPA). In 2011 the NOSB unanimously adopted a final detailed set of Animal Welfare recommendations that were intended to further define and incorporate production practices including healthcare practices, outdoor access and livestock living conditions. Since that meeting, there has been economic analysis, years of public input, debate and deliberation. The final rule was released on January 19, 2017. When the White House issued a memorandum requesting a regulatory freeze, it moved the effective date to May 19th. On May 10th the USDA reopened the comment period and delayed the effective date again by an additional six months to November 14th, 2017. Why now and what more information can be gleaned from the delay? Does Secretary Perdue really need more time or is there pressure from some who don’t want the rule to see the light of day? Some lawmakers and a few large egg producers who are exerting oversized political power have put up quite a squawk. They would like to scrap the measure entirely. Even if you don’t know the difference between free range and cage free, you can smell something “fowl” is in the air. The evolution of the organic regulations is an integral process for instilling consumer confidence in the USDA label. If lawmakers in Washington let political interests obstruct this process, the expectations of consumers and organic producers alike could be destroyed. The organic seal represents a meaningful differentiation from other agricultural practices. If these differences are able to be swept aside by the whims of one political sector, what will happen when other differentiating aspects are introduced or considered? Could this precedent affect the future of all organic regulations? 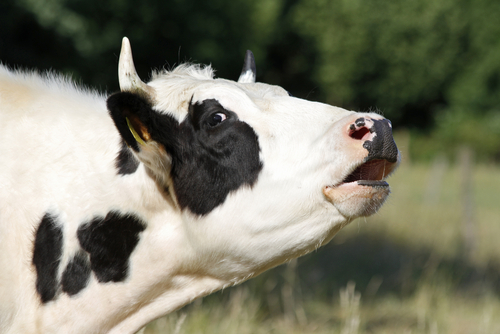 The delay of the Animal Welfare Standards is a portentous moment for organic. The very integrity of the organic process is at stake. Pay attention, if this rule gets an untimely death, it could have long-term effects on the entire industry. USDA is asking for input on whether to suspend the rule indefinitely, to delay it or withdraw it. OTA makes it easy to make your comments known here. This entry was posted in What is Organic and tagged National Organic Program, National Organic Standard Board, Organic Agriculture, Organic food, United States Congress, United States Department of Agriculture, Washington. Bookmark the permalink. ← Farm Bill 2018: An Omnibus For All? Thanks for bringing these important facts to light, Melody. Yo your company, and the industry, are incredibly well served to have you writing and bringing these important topics to our attention.